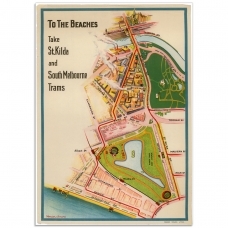 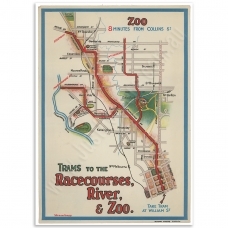 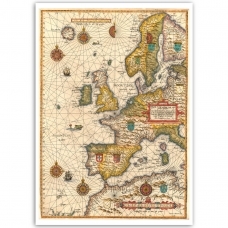 Discover why wall maps from Just Posters make a World of difference when decorating your Home, Apartment or Office. 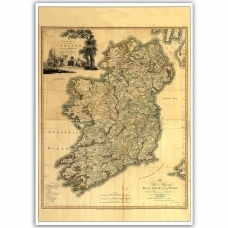 Maritime Europe 1583 - Vintage PosterThe rare first plate of Waghenaer's general Sea Chart of Europe..
Memoir of a Map of Ireland 1797 - Vintage Poster A New Map of Ireland, Civil and Ecclesiastical..
Serio-Comic War Map for the year 1877 - Vintage Map PosterRare Political Caricature Map by Frederic .. 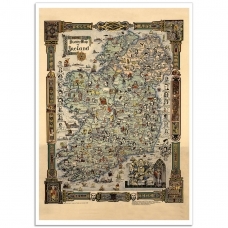 The Story Map of Ireland 1936 - Vintage PosterA beautifully detailed colourful pictorial map of Irel.. 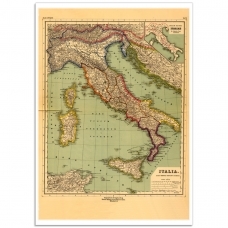 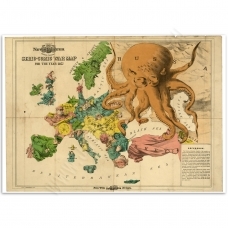 The Eleven Regions of Italy - Vintage Map PosterA rare map of Italy by Heinrich Kiepert Heinrich Kie..